Sticking with the "Citrus" theme I decided to make Southern Lemon Crusted Chicken with a lemon glaze. It is baked in the oven so no added calories from oils and the lemon is very refreshing. 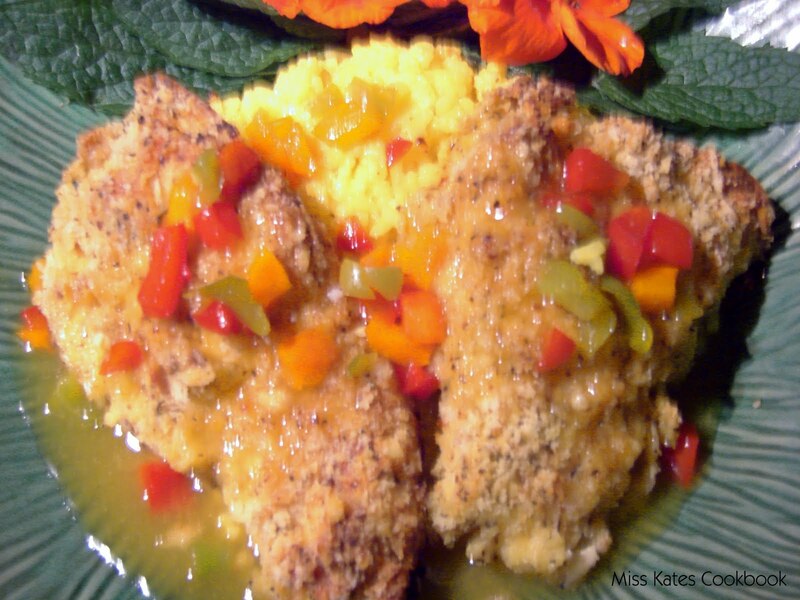 I love the flavors and the crispness of the chicken and serving it with saffron rice and a salad and you have a great summer meal. 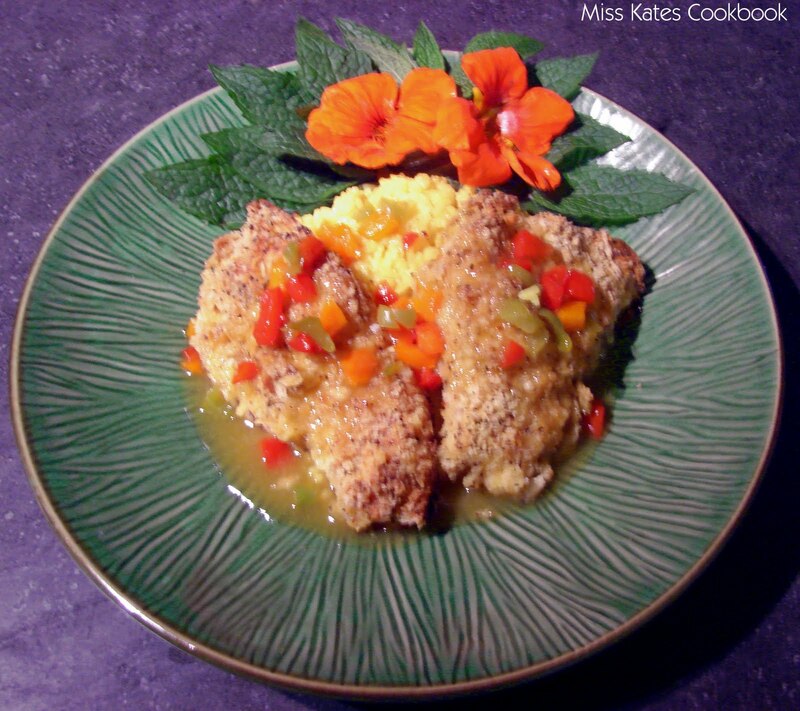 This is a quick and simple recipe. 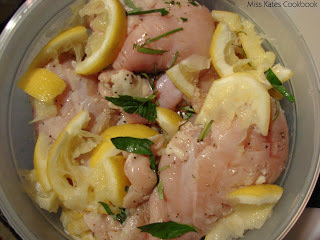 In a large bowl place chicken and combined lemon zest, lemon juice, basil and minced garlic. Toss chicken in mixer and sprinkle with salt and pepper. 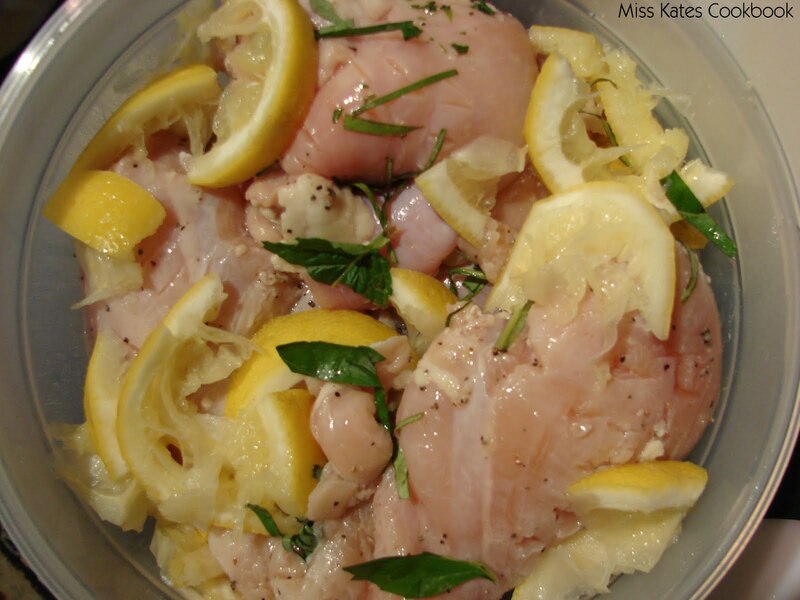 Cut up your lemon and toss into bowl with chicken. Marinated over night or at least 6 hours. 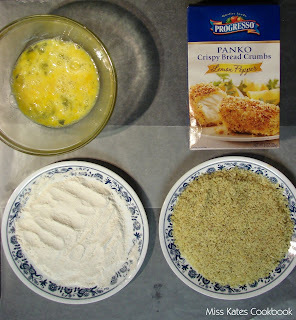 Now we are going to coat chicken in Panko Lemon Pepper Crispy Bread Crumbs. Remove chicken from mar﻿﻿﻿inated place on paper towels to remove some of the moisture. 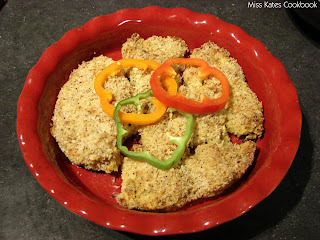 Coat chicken in flour, then dip in egg mixture, and then dip and coat well in bread crumbs. Place in a baking dish, I use stoneware for less sticking. Preheat oven to 375F. Cook for 20 to 30 minutes till the thickest part of chicken is 165F. 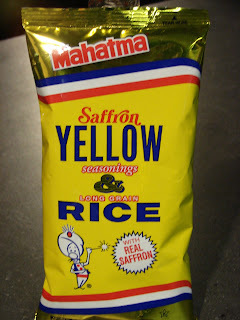 While chicken is cooking you can make the lemon glaze and cook your rice. This saffron rice is quick and easy to make it only takes about 20 minutes. Just follow the directions on the back of the package. In a skillet heat chicken broth. lemon juice, and lemon zest till it starts to boil. Add in cornstarch (remember to dissolve your corn starch in little bit of water before you add it to mixer. Slowly stir it in , as glaze starts to thicken add in peppers. If your glaze get to thick add little more chicken broth. If its to runny add more cornstarch. Now you are ready pull chicken out of oven and you can either pour glaze over chicken in the baking dish or over each individual serving. You are ready to serve. Looks nummy could you do something like this with pork or another meat?